I’ve written letters to you before, but I never sent them because, well, I think I was a little intimidated by you. You have millions of fans across the globe, and why you’d read a letter I wrote had always been quite the mystery. Today, I changed my mind. I might post this, too. I think it’s imperative for you to know how the Harry Potter series changed my life, just like every one else’s. And what better day to write to you? It’s Harry’s 35th birthday, and yours too! Happy Birthday, J.K. Rowling, we are forever indebted to you for the incredible childhood you gave us. I was eleven when I picked up the first book. My mum was a huge fanatic, I am so grateful to her for introducing me to the magical world you created for us to live in. I thoroughly enjoyed the first book, and I remember reading it in a week’s time. It’s been years, but I still view the Harry Potter world with the same childlike wonder I did then. Harry and I have grown up together, endured the pangs of adolescence, first dances and fights with friends together. For that, and for so much more, I will be forever grateful. 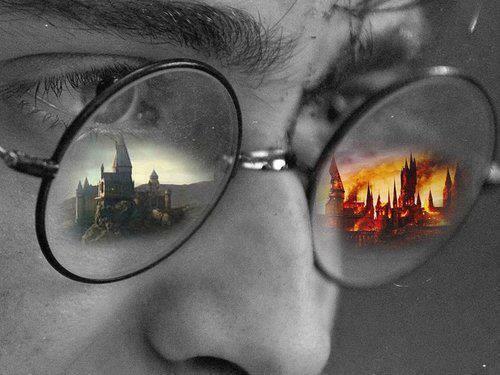 One of my dreams has always been to meet you, so I can tell you what the eleven year old scrawny, bespectacled boy with the lightning shaped scar did to me, and how he changed my life. Harry Potter was the reason I got into reading, and as time passed, it was the major reason I began writing. And today, writing is a crucial part of who I am. This wouldn’t happen without you. I dreamed of creating something as life changing and as real as Harry Potter, and it’s now that I’ve realised that it’s beyond the bounds of possibility. No one can try doing what you did. I might speak on the behalf of all the fans out there when I say that I am beyond grateful to you for doing this. You created a world, a world I believe in and know is real. You didn’t lose hope when publishers refused to publish your story. You believed in what you stood for and it’s one of the traits I am glad I possess today. You’ve inspired me in ways I can’t put to words, and you’re the reason I discovered magic. I believe that a person who does not believe in magic will never find it, and I proudly say that I’ve found what magic means to me, at least. And I pray everyone else does, too. Thank you for spending those hours and months writing the books, what you’ve done to our lives is beyond anyone’s imagination. The characters are my family, the deaths of some characters made me feel things I didn’t know I could feel. Feeling disheartened and disconcerted became casual as every character bid us goodbye and never returned. The one that affected me the most, was Severus Snape. Even though it’s a fictitious, fantasy world,I was pretty distressed about not receiving my letter. Your words gave me a sense of home, and I wouldn’t trade this feeling for anything else. All I want is to let you know how grateful I am: your ability as a writer contributed significantly to make my world outstandingly brighter and content when I needed it the most. Thank you for what you do, you do it best. And you were right when you said “Every child in the world will know his name.” There isn’t a single child in this world who doesn’t know his name. You were right all along. Still living in anticipation of another Harry Potter book.